We have listed the list of best medical colleges in Bangalore. The list is not rank wise. These colleges provide top notch education in the field of medical science ( MBBS ). MS Ramaiah Medical College is one of the top colleges in India. It was established by Dr. M.S Ramaiah, founding chairman of other institutes of Ramaiah college. M S Ramaiah is known for it’s quality education and skills of its student. 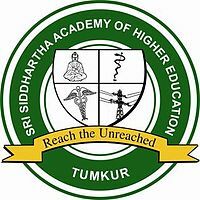 The college is located in MSRIT post, MSR nagar, near M S Ramaiah hospital, Mathikere, Banglore, Karnataka. The campus is in a total area of 65 acres called as Gyana Gangothri or ‘Spring Of Knowledge’ which is adjoined to Indian Institute Of Science. The institute comes under the Gokula Education Foundation which was founded in 1962 to impart quality education and make the society better. In the year 1992, Sri A.C. Shanmugam established the Moogambigai Charitable and Educational Trust. It all began with an aim to establish an institutions which provides quality education so that the students can serve the people of our country. The College is affiliated to Rajiv Gandhi University Of Health Sciences and is recognised by Medical Council Of India, New Delhi. The Institute is located in Kambipura, Mysore road, Bangalore. The College provides quality medical, paramedical, nursing and healthcare education with state of the art facilities so that the students become compatible to work for the betterment of the society. 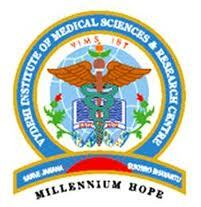 Vydehi Institute of Medical Sciences and Research Centre, Bangalore is one of the best medical institutes in Bangalore as well as India which provides quality education in the field of medical science and healthcare. The institute provides state of the art infrastructure facilities for the students. The institute consists of a fleet of well-trained faculty members and staff members to provides with quality healthcare services. With more than 1600 plus beds in the hospital, the institute provides a 24 hours service for the patients. They have departments like critical care unit, emergency department, central domestic labs and blood bank. Each department has its own responsibilities to serve the patients according to their requirements. MVJ Medical College & Research Hospital is a well established Institute which is imparting quality medical education in country. The Medical College was established in 2001 and is located in Hoskote district which is very near to the Bangalore city. The college is affiliated to the Rajiv Gandhi University of Health Sciences is recognized by the Medical Council of India, New Delhi. The College offers graduate, postgraduate and diploma courses in different fields. Admission in MVJ Medical College & Research Hospital is an opportunity for the students to grow their career in the right path. Sri Devaraj Urs Medical College, Kolar is a constituent body of Sri Devaraj Urs Academy of Higher education And Research which comes under the Sri Devaraj Urs Educational Trust for Backward Classes, Kolar and is recognised by Medical Council of India. The campus is spread in 85,000 sq.mtrs. which have different building for every departments and the college is accredited by NAAC India. The college offers graduate, post graduate and post graduate diploma courses and the college is very active in social works. Every year, the college conducts free medical checkup camps at taluk levels in villages or remote areas. This is the environment of the campus to make the students, to grow in such a way that they cater the need of society as well as their profession.